Anyone who’s had a tooth ache knows how devastating it can be. From a constant, dull pain ruining your sleep and focus, to a sharp jolt every time you eat, bite down or even breath cold air (thanks Calgary!) tooth aches can impact every aspect of your life. Tooth aches are especially upsetting when you don’t know the cause or how to make it stop. In this series we’ll explore some of the most common causes of tooth aches, along with advice for relieving your pain! The most common reason for a painful tooth ache is tooth decay, more commonly known as cavities. Tooth decay is essentially the destruction of the layers of your tooth. Plaque is a sticky material that is continuously forming on teeth. Plaque is full of bacteria that feed on left over food and sugars in your mouth. When that bacteria feeds it releases acids which attack your teeth. The stickiness of plaque holds these acids against your teeth, over time weakening and breaking down tooth structure, causing cavities. Cavities are often dark, sticky spots on the tooth and when left long enough they can even start eating away holes in the teeth. Very often cavities form between the teeth, an area you can’t see just by looking. These cavities can only be seen on dental x-rays, which is one of the reasons we recommend regular x-rays. Why does tooth decay hurt? Teeth have 3 layers, enamel, dentin and pulp. Enamel is the hard, white outer layer of the tooth which contains no nerve fibres. When cavities are small and only in the enamel layer you normally won’t feel any pain and most of the time they don’t even need to be treated. Being diligent with your brushing, fluoride and flossing at home can prevent the cavity from growing, meaning you’ll actually never need a filling! If a cavity does grow and reach the middle layer, the dentin, this is usually when you’ll start feeling pain. Dentin is the middle, yellow layer of the tooth. While dentin also contains no nerve fibres it is close enough to the last layer, the nerve filled pulp, that once a cavity grows enough to reach the dentin it can start causing some serious pain. Dentin is softer than enamel so once the cavity reaches this layer it can start to grow quickly and out of control. Once cavities grow enough to reach the dentin, they should be filled as soon as possible to prevent the decay from reaching the life source of the tooth, the pulp. If a cavity is painful, either a dull ache or sharp pain when eating hot/cold/sweet foods, it is a sign that the decay is already pretty advanced and needs treatment. Treating small cavities that are caught early is simple. The dentist will freeze your mouth, so you don’t feel a thing, remove the decayed areas with a drill and fill in the left over hole with a white material. The treated area will blend in with your tooth, almost like no decay was ever there. This treatment is known as a filling and is a quick process. If tooth decay is ignored and left to grow treatment can become a lot more difficult, including crowns, root canals or even having the tooth pulled out. We recommend regular dental check ups, that way if you are having any issues they can be caught early and treated easily! Fluoride is the strongest defence against tooth decay. Fluoride bonds to the molecules that make up your tooth. These bonds make your enamel harder, stronger and more difficult for the acids to break down. Pretty neat hey! Fluoride is found in tooth paste, so brushing twice a day is important. For people that are more prone to cavities your dental hygienist may recommend a fluoride mouth wash or special high fluoride tooth paste. Brushing and flossing remove plaque from your teeth and the hard to reach in between areas, meaning there are less bacteria and acids in your mouth. We also recommend trying to eat a balanced diet and limit snacking during the day, which limits the amount of times a day acids attack your teeth. Finally staying up to date with professional cleanings and dental visits will keep your smile happy and healthy! If you’re nervous about going to the dentist remember delaying can make a simple problem grow into a large one. More often than not the sooner you get to a dentist the easier it will be to fix the problem. It’s perfectly normal to be nervous and at Brentwood Dental we cater to your comfort, we even offer sedation! 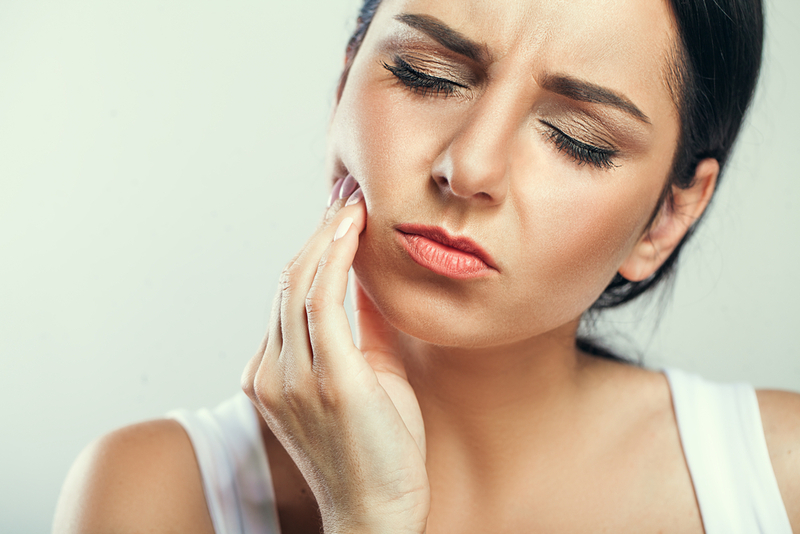 Give us a call today if you have any questions and stayed tuned for part 2 of our toothache blog series, dental abscesses.